We have 2 passenger, 4 passenger, and 6 passenger golf cars available to rent throughout the year. Yearly leases are also available. Request a Quote or Call us to set up your rental or lease! My golf car wont charge. What do I need to do? 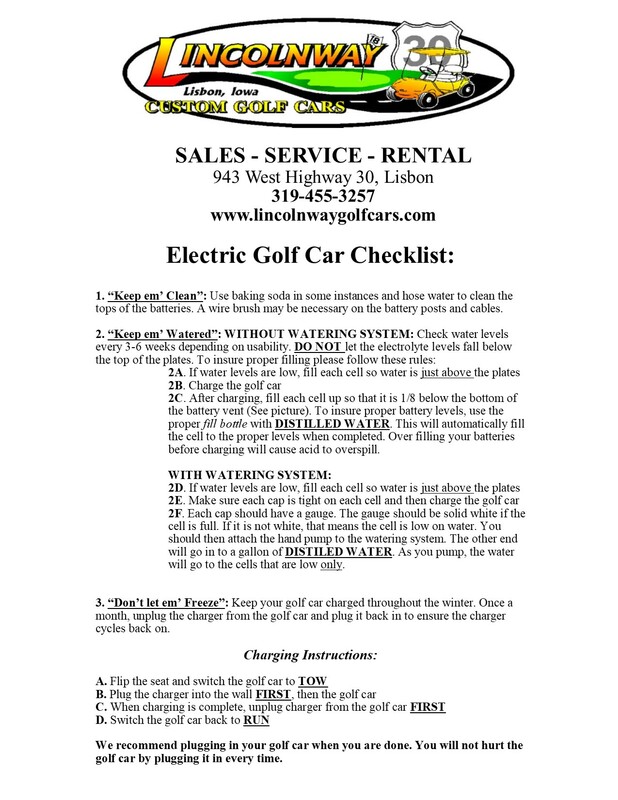 Check to make sure that your charger is plugged in properly to the outlet and the golf car. Check to make sure that the outlet is working by plugging in something else into it to verify it’s working. The total voltage for the car may be too low for the charger to turn on. The chargers have built in safety features that sense somethings wrong and prevent them from charging. 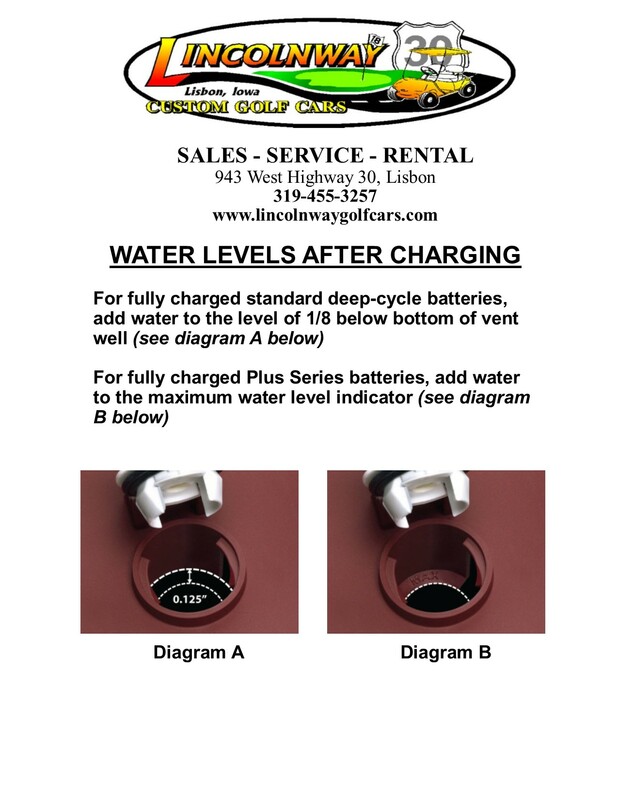 If you have power to the outlet and your car is still not charging, you will need to schedule with our service department to get the golf car to our shop for evaluation.